The pattern is seen throughout the Bible. 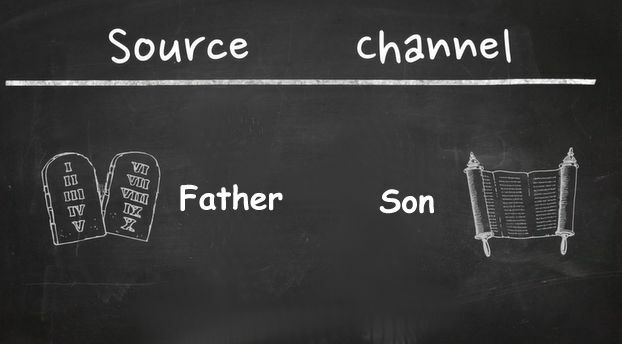 The Father-Son pattern begins with the Father who is the Source of all things. John 17:3 He is the Father…the only true God. 2Cor 1:3-4 Blessed be God, even the Father of our Lord Jesus Christ. 2John 1:3 God the Father, and the Lord Jesus Christ, Son of the Father. 1Tim 6:16 The Father who alone has immortality. who is the Channel of all the Father gives him. to have life in himself—-(Greek zoen) the same immortal, eternal, everlasting life. Not the Greek word bios which is mortal human life. 1John 5:11 God has given us eternal life (zoen), and this life (zoe) is in His Son. John 5:21 the Father raises up the dead and quickens (gives life to) them. He is the original Source of all life. Jesus can raise the dead and give life to whomever he will. John 5:35 It is the voice of the Son of God that will raise the dead to life immortal. Not only immortal life, but The Father gives His Son all things. He is the channel by whom and through whom all things from the Father flow to his creation. The Of Whom gives to the By Whom who gives life to us, his children. This is the pattern of life from the beginning. 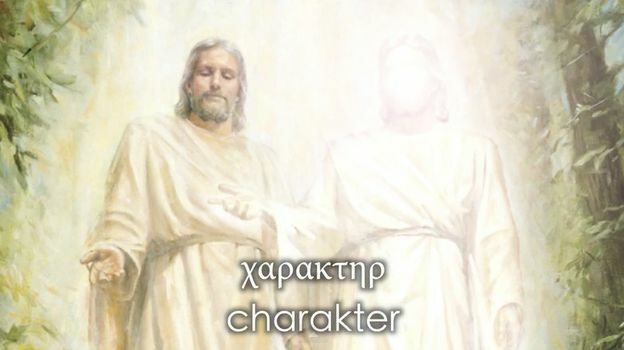 Gen 1:26 God said, Let us make man in our image and after our likeness. Let us make man, mankind, “Adam” in Hebrew. 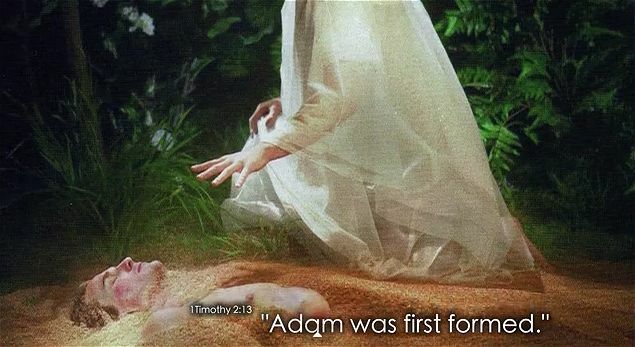 1Tim 2:13 Adam was first formed. And Adam was at first alone. he appointed Adam the task of naming everything on earth. But then God said, “It is not good—that man should be alone” Gen 2:18. 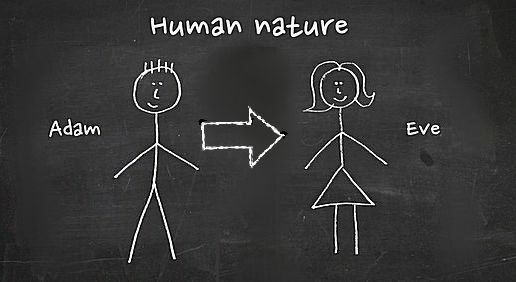 So woman came forth “out of man” as part of his very own body. a woman and brought her to the man. Eve was formed, fashioned, and made in Adam’s likeness. Adam was the Source, of whom Eve came forth, was brought forth. 1Cor 11:12 the woman, Paul said, is from the man (margin). Adam: the only human not begotten. Eve: the only human begotten from another human’s side. but was taken out of Adam’s side, his bosom. before the rib from which she was made was taken out. She became the express image of Adam. taken from His bosom, His side. Adam was the Source, Eve was the Channel by whom, through whom Adam became the father of our race. 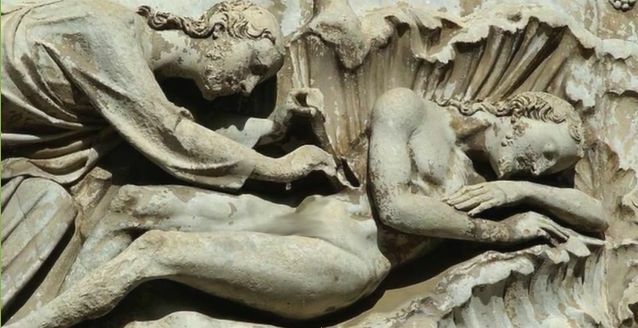 Eve was the same substance as Adam. They were both equal in nature. She was just as human as he was. But Eve was begotten in a different manner than all other human births. So, too, the Son of God was begotten of his Father. They both have the same divine substance, both equal in nature. 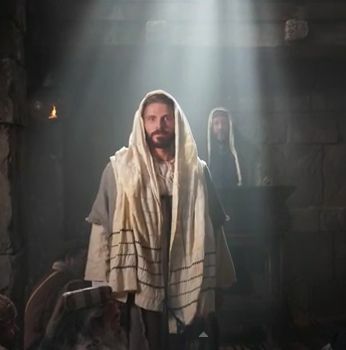 Christ is just as divine as his Father. But the Son was begotten in a different manner in eternity than he was later born of Mary in time. Adam and Eve were essentially the same age; both appeared on day six. Father and Son are essentially of the same age; both are from eternity. giving us His spirit, as Adam gave his rib. We are part of Christ, we “partake” of his divine nature. We are born again; Christ is in us; we have his character. so also the Father and Son are one spirit. This is the pattern of visible and invisible. Heb 1:3 the express image of His Father’s person. appeared to confirm the covenant once again to Abraham. heavenly sanctuary and our High Priest. Heb 8:1-5. This principle is seen in both the written Word and the living Word. of the Father’s word when expressed by the Son. The Father gives his word to the Son and the Son magnifies it. was his style of repetition. Verily, verily I say unto you. Repeating words and names is a distinct character trait of the Son. Simon, Simon; Saul, Saul. Jerusalem, Jerusalem. Heb 1:2 God…has in these last days spoken unto us by His Son. The gospel of John especially features the Word of the Father. John 3:34 He whom God has sent speaks the words of God. but the Father that dwells in me. John 17:8 I have given unto them the words that you (Father) have given me. But it is the opening words of John that are most famous. It is this last phrase which captures our attention and our curiosity. If the word was God, how could the Word be with God? The literal Greek reading is: kai theos hen ho logos (and God was the Word). John speaks the same way in his first epistle. distinguishing between identity and quality. the true God, of whom are all things. We can get a sense of the difference if we use the same grammatical structure, but with different subjects. This is a true statement and we would understand that “the human” here is Adam. “and human was the woman.” This, too, is logical and true. Adam is his name, but human is what he and Eve are. but she was not “the man” in identity. Eve was not Adam; they were two separate persons, two individual identities. The same divine nature is possessed by both the Father and Son. Let’s return to the Greek reading once more with this new perspective in mind. The Word, the Son, was with the supreme Deity, the Father, and the Word was Deity in nature, divine in nature; But the Son was not “the Deity”, the Son was not the Father; yet the Son has the Father’s divine nature…by inheritance. The Word has the same God quality, the same divine nature, the same theos, the same “Godness” as his Father. Theos was the Word, and obviously, so was God the Father—both are divine, eternal, Deity. The Bible is composed of two Testaments: the Old and the New. The Old Testament is the Source, of whom the New Testament quotes and applies and magnifies. The New Testament is the channel by whom we more fully understand the Old. In the Old Testament we have the Book of the Law and the Law of God. Two laws. In the New Testament we have the law of the spirit of life in Christ Jesus Rom 8:2. Not a new law, but an amplification of the old, the original. Not to replace, but to magnify the law. John 1:17 The law came by Moses “but” grace and truth came by Jesus. However, “But” is a supplied word. The KJV indicates this by italicizing it. 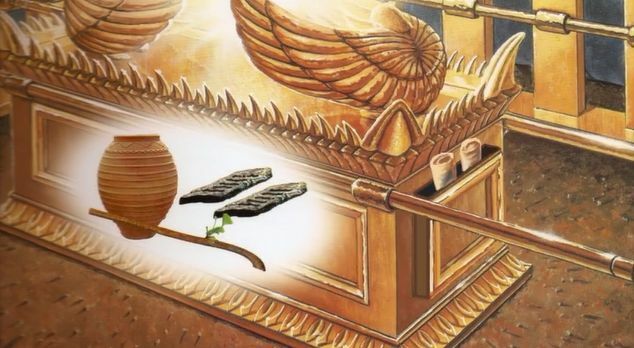 In the ark of the Covenant the ten commandments are hidden inside; it was invisible, not seen by any man. But in the side of the ark, the book of the law was accessible, could be taken out and read, and was an expansion of the Ten. 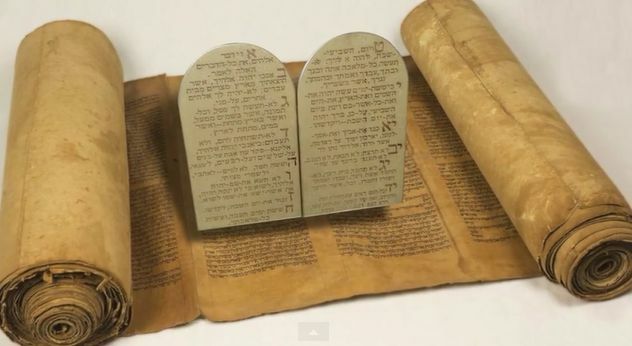 As the Spirit of the Father dwells in His Son, so also the ten commandments are also written in the book of the law. 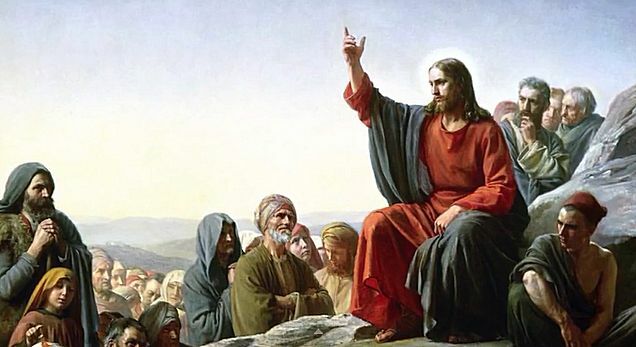 As the book of the law sits at the side of the ten commandments, so the Son sits at the side of His Father. They are not interchangeable; one is Source, the other is Channel, expression, amplifying and magnifying the words of the other. And in the very heart of the law are two commandments, the only two that are positive commands, that show the divine pattern of source and channel. The 4th commandment calls us to worship the LORD who made all that in them is...the Source, of whom are all things. The 5th calls us to honor our parents, the channel by which we received their life. 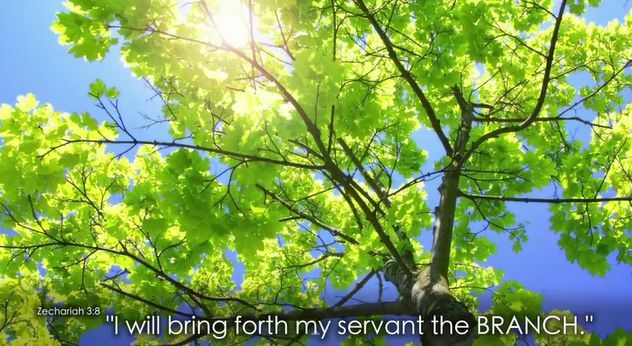 Zech 3:8 I will bring forth my servant the BRANCH. The Branch is used in Scripture to denote royal descent. The king is the root, the princes are the branches. 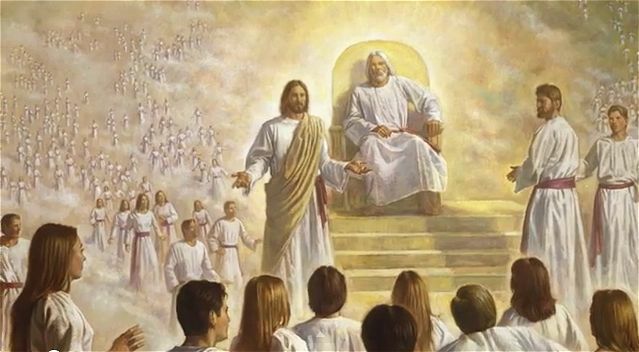 Zech 6:12 the man whose name is the BRANCH shall grow up out of his place and he shall build the temple of the LORD and he shall bear the glory and he shall be a priest upon His throne, and the counsel of peace shall be between them both. The Branch of the LORD, is the servant of the LORD; he is righteous, he is a man, he is a priest and a king, he will build the LORD’s temple, bear the LORD’s glory, and sit on the LORD’s throne, and have a counsel of peace between the Branch and the LORD from whom he branched. and the roots thereof were under him. 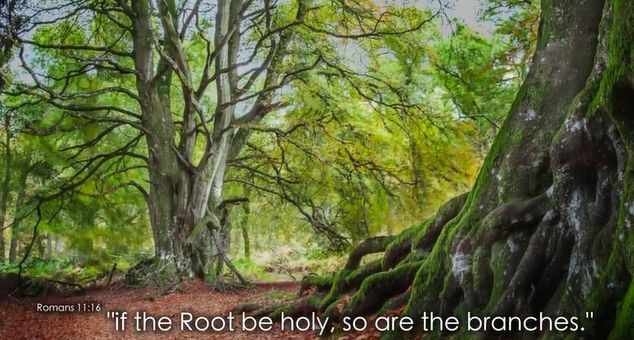 Rom 11:16 if the Root be holy, so are the branches. Because the Root and Branches have the very same nature. The Father is holy; He is the Root. Jesus, the Branch, is also holy. The Branch has the same nature, the same substance, the same qualities as the Root. The Branch is the offspring of the Parent Stock. 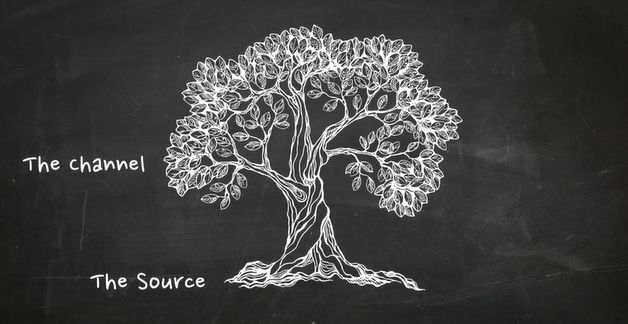 The Root is the Source; the Branch is the expression, the channel from which come more branches. Jesus is the true vine, We are his branches. We also are to partake of his divine nature. 2Pet 1:4. Zech 3:9 Behold the Stone which I have laid before Joshua the high priest. Zech 4:7 O great Mountain before Zerubbabel the governor…and he shall bring forth a Headstone. and the great Mountain (his Father). Isa 28:16 the Lord God lays in Zion a Stone, a precious corner(stone). 1Pet 2:4 a living Stone, head of the corner. 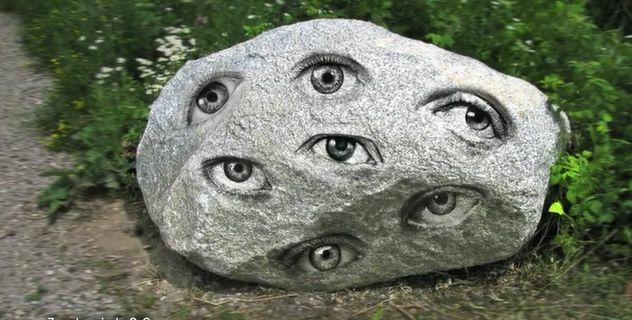 Dan 2:45 the Stone was cut out of the Mountain without hands. The Stone is just as old as the Mountain. 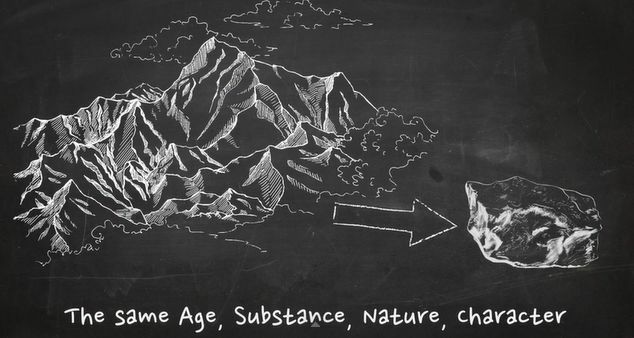 The Stone has the same substance, the same nature, the same character, it’s just as hard, just as enduring as the Mountain because it came out of the Mountain.